The 2019 Brit Awards are fast approaching. We’ll explain how to stream the entire event live, for free, online. This year’s Brit Awards will air on Wednesday February 20 from 8PM until 10:20 PM GMT (12PM PST / 3PM EST). The event will be held at the O2 Arena in London, and is to be hosted by comedian Jack Whitehall (for the second year in a row) and radio presenter Clara Amfo. Don’t worry if you can’t make it to this star-studded event in person: below, we’ll let you know how to stream the entire 2019 Brit Awards live from the comfort of your own home. It’s important to note that we’ll only be recommending official sources. There are almost always unlicensed streams and addons showing high-profile events, but these often leave a lot to be desired in terms of reliability and video quality. However, as the 2019 Brit Awards will be broadcast free-of-charge, there’s really no reason to use unauthorized sources. Major streaming platforms often use geo-restriction measures to prevent access unless you’re in a particular country. As such, you’ll need a VPN if you’d like to watch from abroad (outside the UK). Begin by signing up for a suitable VPN. We recommend ExpressVPN but NordVPN, and CyberGhost are good, low-cost alternatives. Download and install the VPN app onto your device. Try loading the ITV Hub website. It should work as though you were actually in the UK, but if not, clear your cache and cookies, then try again. Since the Brit Awards will be broadcast live, it’s important to test your VPN with the steps above well in advance. This approach ensures that if anything doesn’t work as expected, you’ll still have time to get help from the customer support team and might not have to miss the start of the show. The VPNs listed have money-back guarantees so you can cancel after the show and receive a full refund if you don’t want to keep the service. The Brit Awards will be broadcast free of charge and live (albeit with a few seconds of delay in case anyone gets a little too far off-script) on ITV1. This means you’ll be able to watch the entire 2019 Brit Awards online using via ITV Hub (or the STV Player, if you’re in Scotland). You’ll have to sign up first, but this is a quick and simple matter that only takes a few minutes: just verify your email address, log in, and you’ll be able to stream ITV live right away. If you’re having difficulty unblocking ITV Hub from outside of the UK, you might find it wasier to watch the Brit Awards on TVPlayer.com, since this site hosts another, fully-licensed ITV live stream and has less rigorous geo-blocking measures in place. 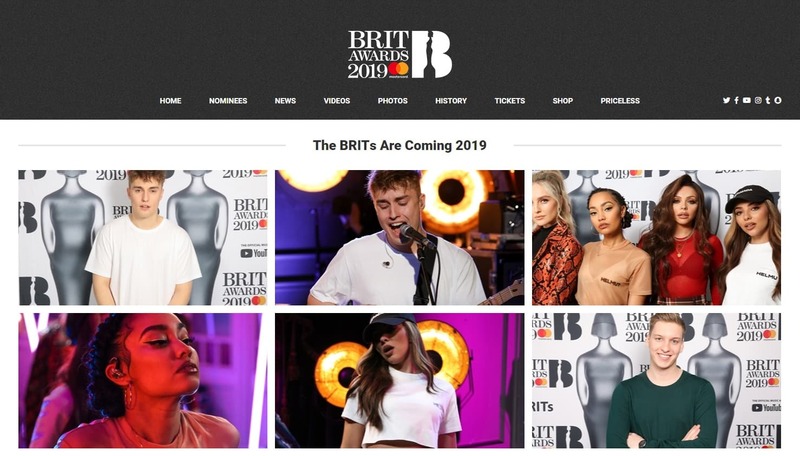 As in previous years, the 2019 Brit Awards will also be streamed live on YouTube. Whichever service you decide to use, since you’ll be watching content at the same time as it’s shown on TV, UK law requires you to have a valid TV License. This is something that’s easy to accidentally overlook, though, since neither YouTube, ITV Hub, or TVPlayer make it very clear. In fact, none of these services actually even verify whether you have a TV License or not. If you usually live in the UK but will be abroad on February 20, you can still watch all of the action live by connecting to one of your VPN’s British servers. We recommend ExpressVPN. ExpressVPN includes a 30 day money back guarantee so you can receive a full refund after the awards if you choose not to keep it. Who are the 2019 Brit Awards nominees? The Brit Awards have ten different categories with five nominees each. The only exceptions are the awards for “British Single” and “British Video”, which have ten, and the “Critics’ Choice” which has three. Below, you’ll find a full list of the 2019 Brit Awards nominees, and the award for which they’re competing. Which artists are expected to do well? With four nominations, Anne-Marie looks set to take at least one of the awards home. She’ll face tough competition in George Ezra, though: his recent album Staying at Tamara’s hit the number one spot in Scotland and England, and number two in Ireland. The 1975’s album A Brief Inquiry into Online Relationships did similarly well, however; coupled with the band’s massive online following and international appeal, it’d be surprising if they didn’t win something. Despite having ten nominees, it seems fairly obvious who’ll win the British Single category. “One Kiss” by Calvin Harris & Dua Lipa was the biggest song of 2018, with over 1.5 million sales in total. If, somehow, this song doesn’t win, it’s almost certain to go to George Ezra, since his song “Shotgun” followed closely, with 1.49 million sales. “God’s Plan” by Drake was actually the second best-selling song of the year, but as an American artist, he’s only eligible for the International Male award. Whoever wins, this one’s sure to be contentious since Eminem and Travis Scott both recently released critically-acclaimed albums. Can I live stream the Brit Awards 2019 on Kodi? While Kodi previously had an official ITV Hub addon, this no longer works. 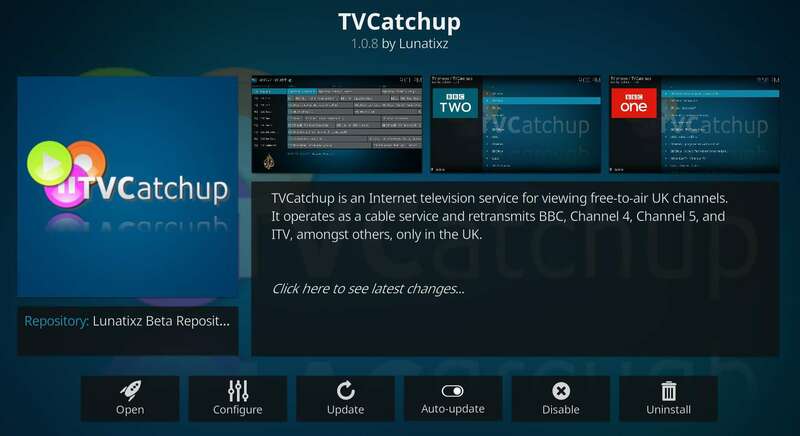 Instead, you can watch ITV1 live using the TVCatchup addon in the official Kodi addon repository. You can also use the YouTube addon (available from the same place), but don’t click the Live option on the main screen since there’s no easy way to filter results from here. Instead, we recommend first searching for “Brit Awards”, then clicking the Live folder that appears. 3 Who are the 2019 Brit Awards nominees? 4 Which artists are expected to do well? 5 Can I live stream the Brit Awards 2019 on Kodi?